The PSA Update is free. Your name and contact information will never be shared with other parties. Updates are sent just a few times a month. Each year, five million Americans – and millions more worldwide – fall victim to multi-level marketing recruitment schemes. Others are lured into “gifting” scams and “business opportunity” schemes. Many are unaware of lawsuits or regulatory actions against the schemes they join. Few citizens have facts about loss rates, tricky pay plans, hidden costs and false income or product claims made by pyramid scheme recruiters. Lobbyists of recruitment schemes have sought to weaken anti-pyramid laws and reduce law enforcement. PSA is leading the consumer efforts to combat this corrupting influence on our laws and law enforcement. 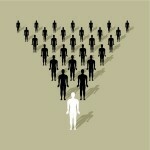 Pyramid Schemes represent a massive lapse in national ethics and values. Scams flourish when honest people are silent. Yes! I want to receive PSA's alerts.